The 50cc scooter market may not be the biggest (ha-ha), but there’s no doubt a nice little 50cc scooter – typically capped at 30mph - is a great option as a local commuter. Not only are they cheap to run, insure and purchase (most of the time) – it’s also easy to get on one. Either ride it on your full car licence if you’ve had it for a while, or take a CBT - we've got a blog all about licencing linked here. We’ll also give a rough idea of price from brand new, but no doubt you will easily find cheaper in the used market. We’ve comprised a list of the best 50cc scooters on the market at the moment – we’ll also update the list update with new entries as and when they are released, so keep an eye out! The Neco GPX is a nice little Italian themed Chinese scooter with sporty styling, packed with technology and coming as standard with full LED lights and semi-digital display. You even get an adjustable rear race shock! In terms of price, expect to pay somewhere in the region of £1700. No surprises here, a Piaggio making a scooter list… but for good reason. The Zip 50 is an iconic scooter for city riders. As standard with Piaggio you can expect a solid design with some great features – like the large under seat storage (enough for a full face helmet) and adjustable seat – but you do pay a slight premium, around £1900. The AJS Digita has sold reasonably well in 2018, and a lot of that may be down to the low price – about £1150. For your money you get good quality parts and a stylish scooter, front disc brakes and telescopic front suspension. Billed as the world’s first supersports scooter, the Aprilia SR 50 series is considered a benchmark for the “performance” 50cc scooters. 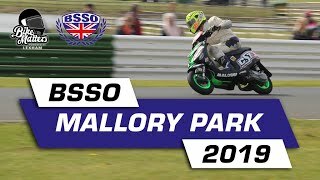 Although still within the normal 50cc scooter limits (capped at 30mph) you do get the classic 2 stroke power, front and rear disc brakes, and telescopic hydraulic suspension, you can also find a racing replica model - impressive for a 50cc scooter! On the Aprilia website it lists the bike as a 2 stroke Hi-Per2 Pro engine liquid cooled engine, but the scooter satisfies the Euro 4 regulations with some electric carb and double catted trickery!Consider this the "primo 50" scooter at £2600. There is a load of Peugeot Speedfights out there, not only due to popularity, but also the variants and generations of models manufactured. We’ve grouped them all together here, but based the 6th spot on the Peugeot Speedfight 4, as it’s our favourite style and the newest one! There is plenty of options though, with air cooled/liquid cooled, R-cup, Iceblade and Darkside models. Peugeot raised the bar even further here with USB and 12v sockets as standard, along with great underseat storage (1 full size helmet) and of course the great style. Everything has been considered on the scooter for the best efficient ride. Expect to pay £2300 to get on the road on one. Perhaps one of the more premium classy options on the list, the 50cc Primavera from Vespa in 2018 hit it’s 50th anniversary in 2018. Although you will be paying around £3200 to get one on the road, you’re guaranteed to be confident in the scooter. Although more common in the 125 version, the Primavera 50 still sells reasonably well for those looking for a stylish commuter scoot - and as always with Vespa Piaggio scooters, you know that what you're buying is built to last and looks good doing it. A great option in a 50cc scooter here, giving you everything you need but with a nice low price - £1350. You get big enough under seat storage for a full face helmet, a rear rack and clean stylish looks. It has a quite simply ridiculous estimated MPG of around 160, so if you’re only a short distance rider you’ll probably refill about once a month, if that! A true work horse. A favourite of young riders across the UK, the Aerox 4 50 bodywork was influenced from the slightly sportier YZF-R1… so you know it’s a looker! You still get all of the practical and economical benefits of a normal 50cc though, with great storage and some impressive MPG stats. It’s sold plenty of units over the years, and is continuing to be one of the better performers in the 50cc market – expect to pay around £2700 to get one of the best small capacity scooters available though. Peugeot happily took the crown of best selling EU 50cc scooter in 2013, and the Kisbee is one that continues to do well to this day. Ticking all of the boxes for a small capacity commuter, with great storage space and decent economy, it’s also lightweight with a big fuel tank. For a simple scooter you get some noteworthy positives – priced at about £1600 you have a formidable scoot. Quite possibly one of the most popular scooters out there, in the top spot is the Lexmoto Echo. This scooter gives a truly great punch for the price at £1100. Aimed at those who are new to riding - or even those who just need to get around locally quickly - the small wheels and telescopic suspension leaves you with a nice little scooter to get you comfortably from A to B with the huge 8L tank. 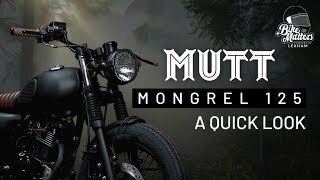 Like all scooter and motorcycle categories there is plenty of choice out there, this is just our top 10 list, and one which will be updated so expect the list to change over time. 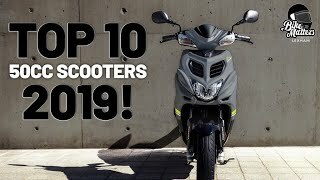 Sadly with top 10s we can't fit all our favourites in, so some special mentions here go to the brilliant Kymco Agility 50 and the Scomadi TL50, though not currently in our top ten we wouldn't be surprised to see these creaping into our list very soon. There really are plenty of excellent alternatives out there in the 50cc market, so always make sure to check out your local dealers and see what they have in stock. An honourable mention goes to the Vespa Elettrica, which is a purely electric motor that is the equivalent to a 50cc scooter. It didn’t make the list, but it’s one to watch out for – there’s a blog on it here. Make sure to let us know your favourite 50cc scooter in the comments section below! Here at Lexham we are scooter insurance specialists, so if you're looking to insure a 50cc scooter get a quote online or give us a call on 01379 646 504 - our best deals are direct!